No matter what you’re celebrating, whether it’s a birthday, wedding, or holiday, make your party stand out with candy labels! Design candy buffet labels, and labels for candy favors to hand out to guests all right here at StickerYou! 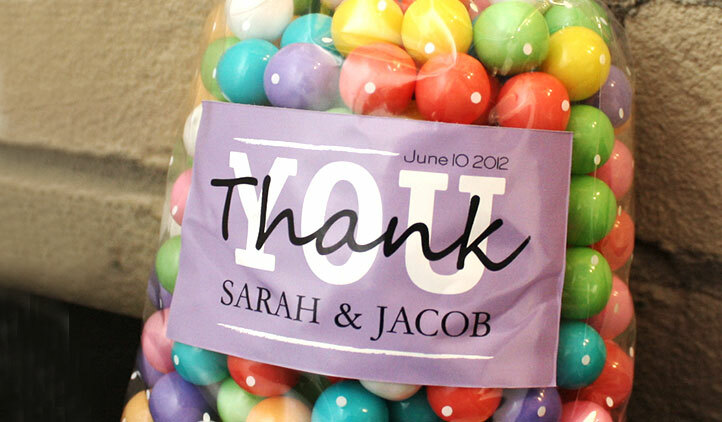 Candy labels can be used for food tables, candy jars, favor boxes, or on the packaging itself! 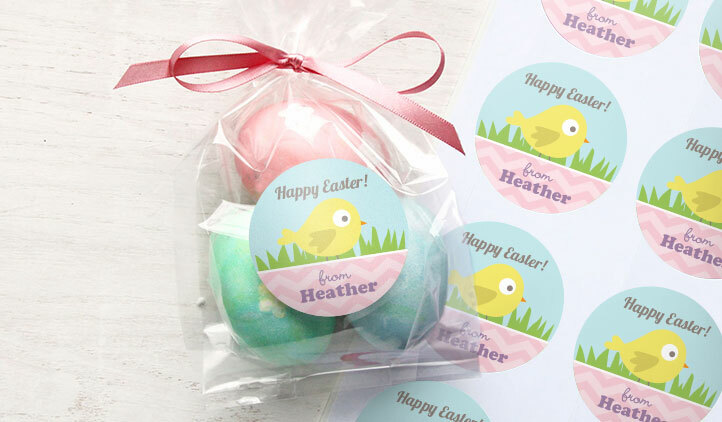 These labels make great personalized gifts, as bridal shower favors, wedding favors, to use at birthday parties, charity events, or an office party. 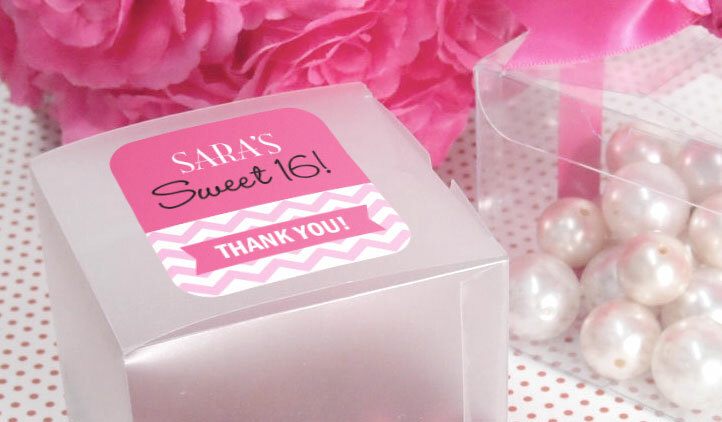 Design labels for the candy table, as cupcake toppers, or use them to make personalized candy. If you want to make labels for little candy like Hershey’s Kisses, create your round labels at 0.75” to fit. You can choose from our selection of artwork, or upload your own, personalized labels in the sticker maker! If you have bigger candy in mind to use, or if you want to match and make a series of different personalized candy, all you have to do is upload your artwork in the sticker maker and adjust your size accordingly! You can design your stickers ahead of time and write on them with a pen or marker when you’re ready, or to give it a more personal touch. 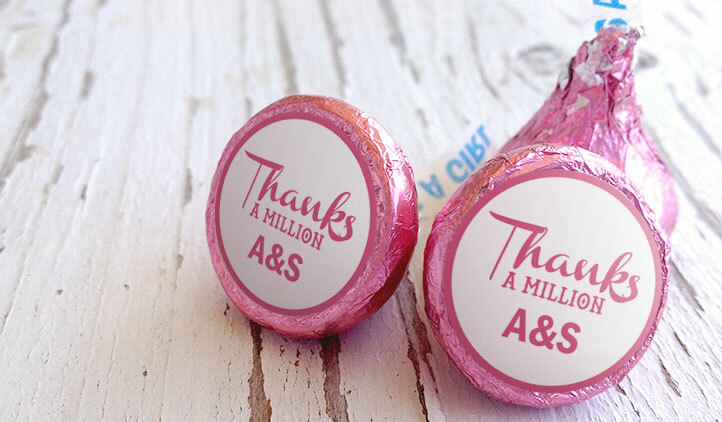 Not only are candy labels perfect to go on candy, but you can use them for food tables, as party favors, or to go on gift boxes. You can either make each one different, or have all the labels match!